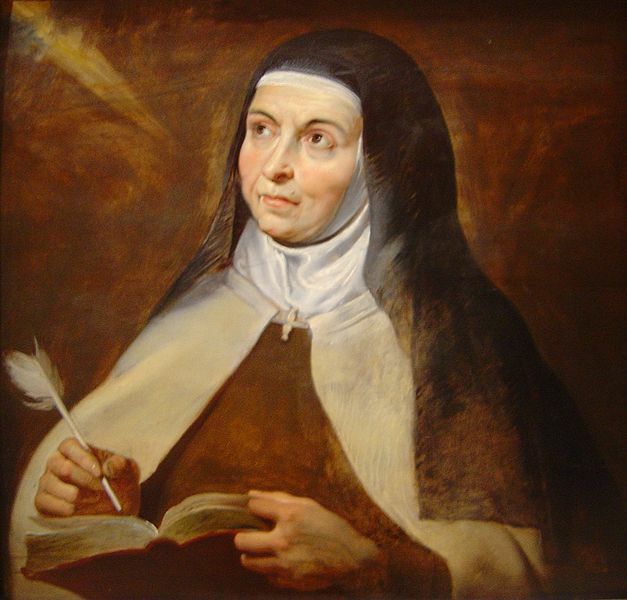 Teresa of Avila by Peter Paul Rubens (photo credit: Wikimedia Commons). Going through old files today, I came across a Secular Carmelite newsletter from 1997. In it our community’s spiritual director wrote about the three stages of conversion in the purgative way. His source was Fr. Benedict Groeschel’s Spiritual Passages: The Psychology of Spiritual Development. I am using Fr. Groeschel’s book as a source for the book I am currently writing on St. Therese. The co-incidence made me feel God wanted me to share this with you. It’s good to know where you are in the spiritual life–not so you can compare yourself with others, but so you my know you’re not alone. It helps me to realize that what I am experiencing is typical of a certain stage. Sometimes it encourages me. Other times it confirms what I have been doing. Still other times it shows me the next step I should take. The spiritual life is traditionally divided into three major stages. The first, known as the purgative way, is a time of purification from sin. The second stage is the illuminative way. God enlightens the mind to know His will more clearly and gives the soul the gift of supernatural contemplation. Finally, there is the unitive way, in which the soul is almost constantly aware of God’s presence. Finally she has the power to closely conform herself to His will. The first conversion is from mortal sin or original sin to a state of grace. We learn the commandments. We try to be good. Fr. Groeschel notes that children, consciously or not, bargain with God. They think if they are good, God will “be good” back to them. But they eventually learn that God does not give them everything they want. They learn that life is full of suffering, even for those who try to follow God. He does not always answer our prayers as we would like or expect. With this realization comes the opportunity for the second conversion. But a soul could instead choose to abandon the faith, because it is not what she expected. Many people who are hostile to Christianity have left the faith at this stage. They don’t really understand what the Christian life is about. They might think God is unfair. They might picture God as a sort of fairy-godfather that only fools would believe in. Those who continue on in the spiritual life experience the second conversion to mature faith. They become very zealous for following God. People who have recently experienced this conversion often think they have “arrived” spiritually. They think they’re nearly saints. On the contrary, they are just beginning. The soul in this stage has a much deeper understanding of God and His ways. She learns that God doesn’t fit into neat human categories. She realizes there are some questions she cannot answer, some ways of God she cannot understand. Yet she believes in Him more strongly than ever. Her prayer moves from childish requests and vocal prayers to meditation and sitting quietly in God’s presence. Then there is another crisis. Perhaps a loved one dies, or the soul experiences other personal tragedy. Or she has apparent insurmountable problems in her struggle against sin. She sees evil at work in her life or in the world, and she must come to terms with it. Once again, she can leave, she can stagnate, or she can grow. Finally, there is a conversion to perfect trust in God. The soul must let go of her anxiety and fear. She places absolute trust in God, even when it seems that everything is going wrong. She realizes that God is in charge of the world and of her spiritual growth. She learns to be at peace among all the storms of life. She abandons herself to Divine Providence as Jesus did in the garden of Gethsemane. Can you see yourself in any of these stages? Can you see what God is asking you to do next? Are you ready to press on, to grow and to change? Wherever you are, you are not alone. Your struggles are most likely common and normal. Do not fight against the working of the Holy Spirit. Open your heart to accept God’s new plans for you. 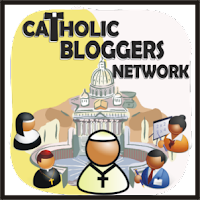 This entry was posted in Spiritual Growth and tagged Carmelite, Catholic, Conversion, Fr. Benedict Groeschel, Prayer, Purgative Way, trust. Bookmark the permalink. It would be interesting to discuss where Martha and Mary, as representing the active and contemplative lives, fit into these stages. Looking forward to read your work. Have a blessed weekend! Interesting suggestion. I would place Martha (from what we know of her in the Gospel story, which is just showing one aspect of her life) in second mansions/Mature Faith. Mary is definitely at the third conversion or beyond. But I don’t think we can categorize the active vs contemplative life in the same way. Everyone is called to be contemplative, in the sense of having a deep union with God and supernatural contemplation. But some people are called to be missionaries and head apostolates as well. 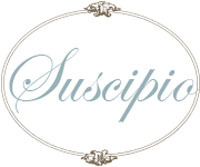 I see my writing as an apostolate, and I am definitely striving to live a contemplative life. I think the key to understanding the Martha/Mary story, as we discussed recently, is anxiety vs trust. Do we think we need to do everything in the spiritual life ourselves, or do we turn it all over to God? Connie I love this. This has been so helpful in understanding where I’m at and what God is doing. thank you! You’re welcome, Anabelle. I must have read this newsletter years ago, but I wasn’t at the right place for it to stick. Last December I had a light go on after years of struggling: that’s what I need to do! And now I am at peace as I haven’t been for a long, long time. I’m so glad i can help others in the same way. 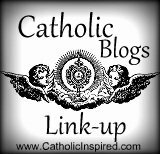 Where do all these silly names for roman catholic doctrines and practices come from?? My guess..and its no guess really. Is satan. Do romn catholics actually read Scripture. At All !!?? Dear “Christian Spook,” if you will read my blog a bit more, you will find that I know Scripture quite well. In fact, as a child I memorized the first 15 chapters of Matthew’s Gospel. I have read the Old Testament straight through at least a dozen times, and the New Testament probably 3-4 times as many. And I have been a Catholic all my life! God gave us our minds to use. 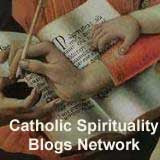 Throughout the centuries, Catholics have looked at spiritual growth and found patterns that most people follow. They have given these patterns names. It’s so helpful to know that you are not alone in your spiritual experience! If you do a little research, you will find that many non-Catholics accept these terms and stages as well. In fact, Protestants have written books promoting St. Teresa of Avila’s teaching on prayer and the spiritual life. Well, good for you ..seriously. But I see noo value in promoting books on supposed saints. That’s fine. Most of the saints stop reading any spiritual books besides the Bible as they grow closer to God. Things are heating up Connie, syria etc…. I’m so sure Jesus return return is so close,its a tad scary.. It encourages me to know that he is coming soon.!! Well, we just trust in Him, right? Take care. This was really helpful! Thank you for posting this and leading me here from FB, Connie! You’re welcome! I’m glad this helps you. It was enlightening for me too. Would it be accurate to characterize the transition from moral conversion to mature faith as an exertion that changes from a pushing away of what what is ungodly or sinful to a pulling toward what is godly? So, in the first stage, the connection is through a sense of a lack and a struggle that slowly yields an understanding of sin that, by contrast, implies grace. And the second stage entails a giving up of struggle, a relaxation into grace. The exertion changes from effort that is a struggle to effort that is a joy. It seems to me that this is the case — although from, moment to moment, you can be in one state of mind or the other. Am I thinking about this the right way? Alyosha, I’m not sure if I understand you. I think you are saying that the first stage is mostly negative–avoiding sin–while the second stage is mostly positive–embracing virtue. Then in the third stage you let God do the work. I think you more or less have it. In simplest terms I would put it this way. The first stage from a moral standpoint involves avoiding mortal sin and certain venial sins that seem particularly bad to the individual. The second stage involves avoiding venial sin–especially habitual venial sin. The third stage involves surrender to God to let Him do the work of overcoming sin that seems impossible for us. From the standpoint of who God is, stage 1 sees God as a judge, someone who rewards us when we are good and makes sure only good things happen to us because we are following Him. Stage 2 recognizes God does not always answer our prayers and has good reasons for that. A person in this stage might analyze God a lot–justifying God’s actions and trying to figure out what He is up to. He thinks He understands God’s ways. Then something happens that he cannot “justify.” He has to decide whether to trust God anyway, or abandon Him. In stage 3, he recognizes that God’s ways are truly beyond Him. He no longer strives to understand, but to trust and love. Does that make it a little clearer? This is helpful to me. Thank you.